There are 445 districts, 2,243 public schools, and 234 charter schools in Wisconsin serving 871,105 students. 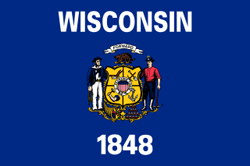 Financially the state of Wisconsin spends approximately $13,213 per student. There are 56,245 full-time teachers receiving a total of $3,855,316,972 in salaries and $1,997,076,709 in total benefits. 302,780 students receive a free lunch and 51,747 receive a reduced-price lunch. To find the city or school you are interested in viewing more information about please select a city from the list below or enter the city or school in the search box located at the top of the page. 1. Data Sources: U.S. Department of Education, National Center for Education Statistics, Common Core of Data (CCD), "Local Education Agency (School District) Universe Survey", 2008-09 v.1a, 2009-10 v.2a, 2010-11 v.2a, 2011-12 v.1a; "National Public Education Financial Survey (State Fiscal)", 2008-09 (FY 2009) v.1b, 2009-10 (FY 2010) v.1a, 2010-11 (FY 2011) v.1a; "Public Elementary/Secondary School Universe Survey", 2008-09 v.1b, 2009-10 v.2a, 2010-11 v.2a, 2011-12 v.1a; "State Dropout and Completion Data File", 2008-09 v.1a, 2009-10 v.1a; "State Nonfiscal Public Elementary/Secondary Education Survey", 2008-09 v.1c, 2009-10 v.1b, 2010-11 v.1a, 2011-12 v.1a.